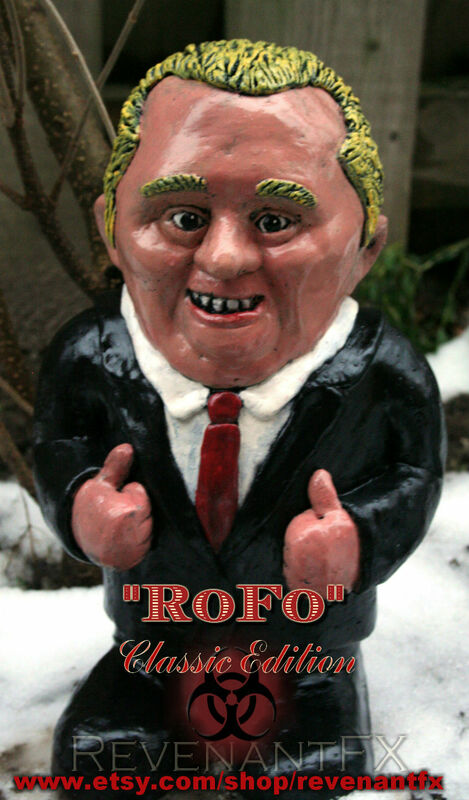 So… In a slightly different direction than usual we’ve made a parody gnome of the notorious Rob Ford. 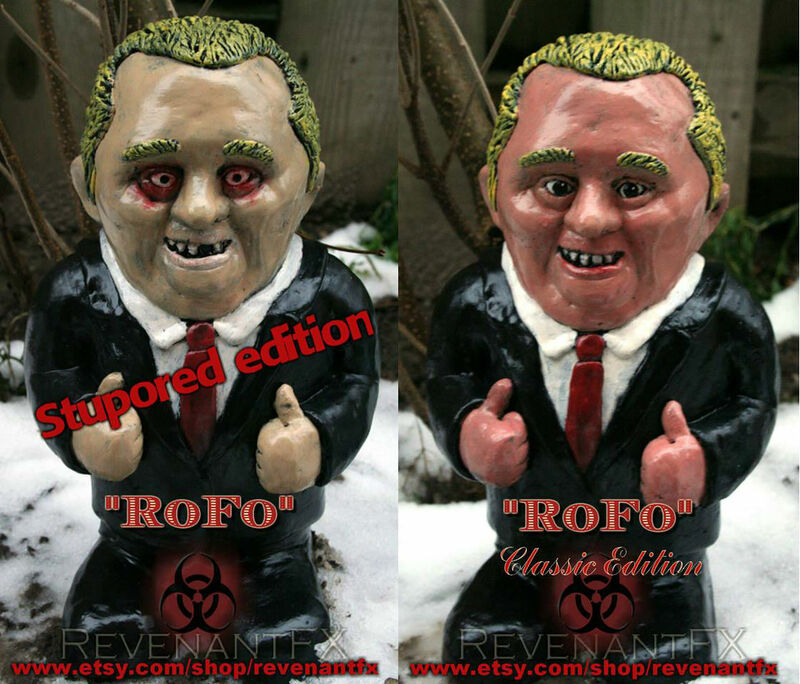 He comes in both a “Classic” and “Stupored” edition and he’s available now in our Etsy shop..
Can’t Get enough controversy from the media about Toronto’s mayor? Than it’s time to bring the mayor and all his controversy to your garden! 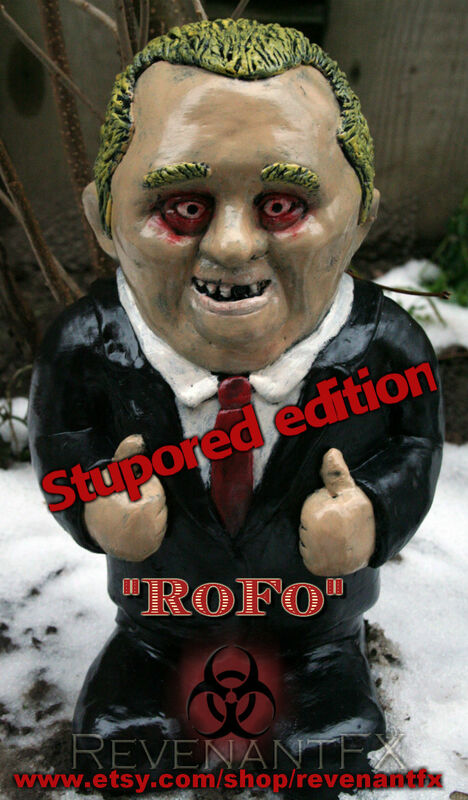 That’s right folks, now you too can have your own political circus right on your front lawn! Your garden gnome community will now have a leader to look to and follow on all their gnomish adventures. All in an alleged “drunken stupor” right on your front lawn! Adopt this gnomish RoFo, bring him home today. Place him in your garden and you can be sure thats where he’ll stay! Each of these mythical mayoral figures are sculpted meticulously in water/oil clay, cast in rock solid premium grade gypsum cement. Then hand-painted to bring out all of their mayoral detail (and to ensure that no two are exactly the same). and to help prevent any further mishaps by means of weather. Happy Canada Day and Pride Weekend to all our fellow Canadians!! Zombie Gnomes and Bloody masks and Chainsaws, Oh my! Willie Walker The Zombie Gnome!